Kaya... have you heard of Kaya? 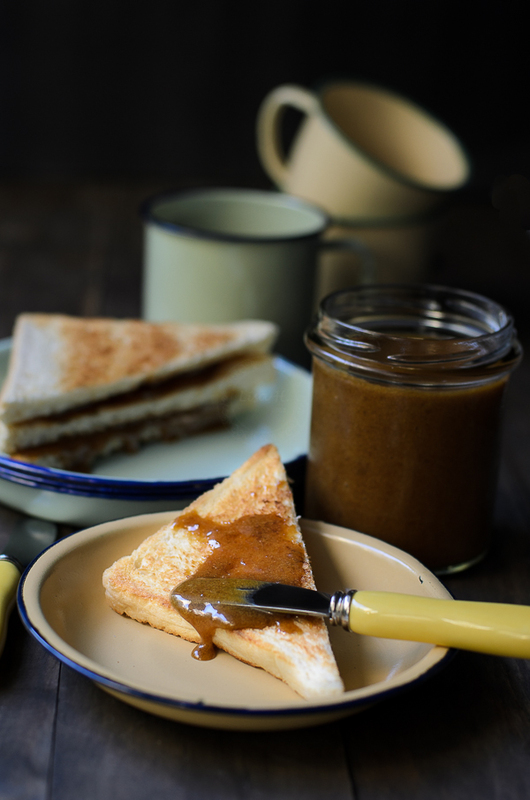 Kaya or Coconut Curd (jam) ~ a delicious spread made from eggs, coconut cream and sugar. Delicious with toast and morning coffee. Kaya consist of eggs, coconut milk and sugar, cook over low heat (by double boiling or steaming). 7 or 8 years ago, I was dabbling, trying to make coconut curd/ jam or KAYA, but...the Kaya I made, did not turn out well.... it was a total disaster!!! What I had in my pot was a big lump of overly sweet scrambled eggs... :(. It might turn out ok if I were to cook the egg-coconut mixture using double boiling method instead of cooking on direct heat from stove. Took me years to try again ;). 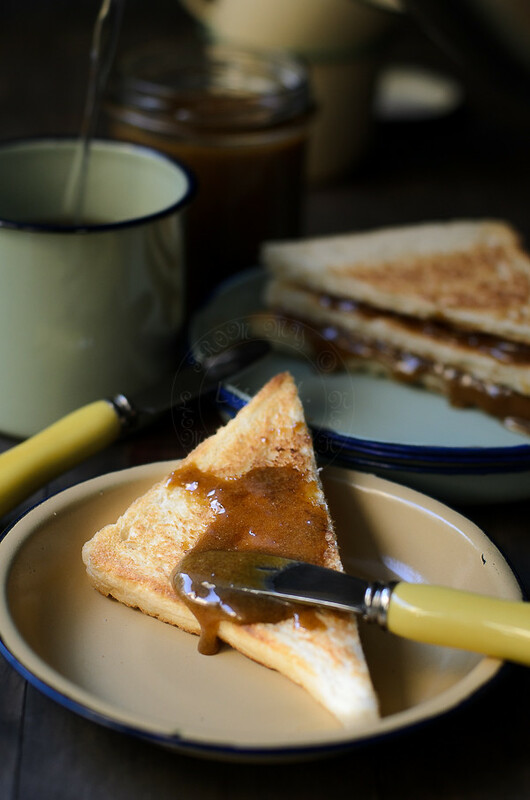 Spread generously this sweet creamy coconut-ty taste concoction on warm toast...pair up with black coffee and half boiled egg (add a dash of soy sauce and white pepper)... there you have it... a typical Malaysian breakfast. Beat egg yolk and strain into a heat proof bowl. Using double boil method, boil some water in a saucepan (bowl should snuggly fit onto the saucepan, so steam could escape and the base must not touch the boiling water). Add knotted pandan leaves and coconut cream. Lower bowl onto the saucepan, lower the heat. Keep stirring as you are making custard. Cook until the coconut-egg mixture thickened and sugar has dissolved. Leave it to cool before keeping them in jar and refrigerate. Note : 2 small jars lasted a month in my refrigerator. 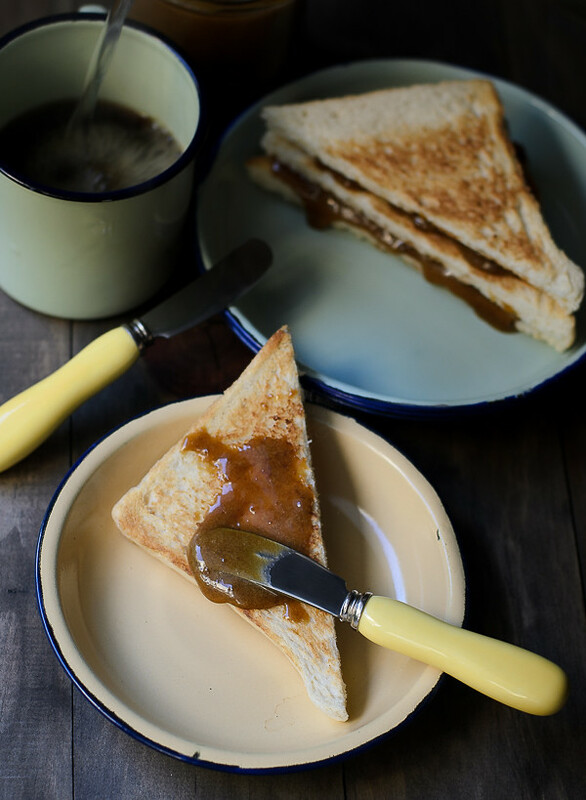 Enjoy Kaya with toast and black coffee every morning. Is this like Malaysian version of custard? Sounds delicious. I have heard "Kaya" but never made it myself. I would love to try it soon. Thank you for sharing. You are right, Shihoko, its like custard but sweeter, thicker with rich creamier coconut taste. Ooh! My dream come true! I love jam and I love coconut too! This sounds awesome! Hm... made rather like lemon curd, but with the flavor from molasses and coconut cream! Very different, for me, and sounds delicious. I have never tried or heard of kaya but this looks super good! Can't wait to try it! Hello Kaya! You are going on my to make list. Cause it would really make my taste buds happy. YUM!! !